Removes ink spots from hard surfaces, fabric, and carpeting. 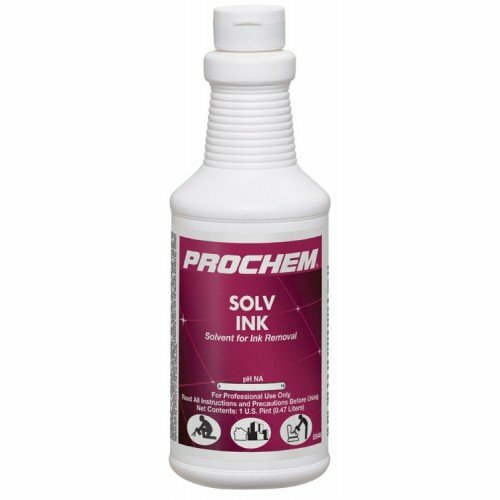 Non-volatile solvent blend penetrates and removes most kinds of ink. . . yet it has no powerful solvent odor, so it's easy to use in both commercial and residential environments. No dilution is necessary. If you have any questions about this product by Prochem, contact us by completing and submitting the form below. If you are looking for a specif part number, please include it with your message.